Internships are a vital part of building a career and ACC values every intern we've had the pleasure of working with. Being a nonprofit, ACC has a wide range of projects available for our interns--from webdesign to casework to projects our interns come up with themselves! For more information about our internships available, including an application, please click HERE. We are always looking for interns for fall, spring, and summer sessions. Read about the experiences of our past interns at ACC below! I was drawn to selecting ACC as an internship due to how active they are in the community. ACC’s mission to change lives for the better, and to help different populations in need spoke volumes to me. Their focus on individual-centered care and catering to their specific needs really allows them to stand out in a constructive light. As a nursing student, I have a passion in caring for people and connecting with them on a personal level, which made ACC a perfect fit. One important part of being a nurse is learning how to advocate for your patient. Observing the ACC staff assist the participants in any way they can is a great learning experience when it comes to advocacy. What also drew me to ACC was the importance of public health awareness that they displayed. The agency is always looking to learn more about public health, and I wanted to offer my education and experience as contribution. I currently have a previous bachelor’s degree in veterinary technology, and now pursuing a second bachelor’s degree in nursing. I inhabit diverse knowledge when it comes to animal care and caring for people. I am very passionate about promoting wellness for people, and their pets as well! My positive attitude and open-mindedness is a strength that I bring to ACC. It is important to me that participants feel comfortable approaching me when asking questions, looking for resources, and wanting to learn more about healthcare. I will help ACC accomplish its mission by providing resources for accessible health care, mental illness awareness, and offering vital and blood pressure checks to those who seek it. In my down time, I enjoy reading, traveling, and spending time with my two rescue dogs. She also has a love for music, and plays the ukulele and the piano. One of my dreams is to travel the world so I can witness different cultures, and to gain positive life-changing experiences. About a year ago, I took the opportunity to travel to Japan with my friends from college. The first half of my trip I stayed in Tokyo. Tokyo is such a vibrant, futuristic city that never sleeps. It’s filled with endless places to shop, restaurants, markets, arcades, and landmarks such as the Tokyo tower, the Tokyo Skytree, Senso-ji temple, and the Meiji Jingu Shrine. I then traveled to the western side of Japan and stayed in Kyoto and Osaka. These regions displayed the more historic and traditional side of Japanese culture. I hiked up to multiple famous shrines such as Kinkaku-ji, Fushimi Inari, and the Kiyomizu temple. Walking the streets of Kyoto and Osaka make you feel like you’ve traveled back in time and are completely different environments compared to the bustling city of Tokyo. Japan was an unforgettable trip where I was able to experience the differences in culture, foods, traditions, and the breathless scenery all over the country. Growing up in Western Mass, I always knew I wanted to make an impact. Away from any major city center, the opportunity to do so here is limited. It’s easy to graduate college and move on, looking forward to adapting, growing, and meeting people along the way. But, there’s just something about this place that pulls you right back. Community defines our existence. The people we surround ourselves with and form relationships with, transform us and our views on society. The ACC mission is unique. ACC chooses to identify AND understand the individuals that need the most help and the obstacles that stand in their way. Compassion and passion drive my desire to inflict change. When you see clear patterns that can be altered and behaviors that can be modified, you know it’s time to step in. Helplessness can’t be accepted. These individuals are clearly a product of their environment, and it’s our job to help shape and redefine their environment. Currently I am a student at UMASS Amherst in the Accelerated Nursing Program after first receiving a degree in Animal Science. I look forward to learning more about community nursing this semester! In my down time, I’m active and try to set a good example. If I’m not healthy, fit, and making positive decisions for myself and those around me, I can’t expect others to do the same. Anything new and different or challenging is both beneficial and exciting. I constantly look forward to tackling what comes next. I love to travel and learn everything I can about the different places I go. I love to adopt homeless animals and either provide them with a loving home with myself or with someone else. I strive to constantly help those around me whenever possible! After completing her education in the U.S., India, and Europe, Jane taught philosophy at several colleges and universities. Immediately after receiving tenure at the College of Charleston in South Carolina, she decided that she could not continue to pursue professional philosophy in its current form, as it has no place for the classical pursuit of wisdom, or the collective cultivation of wisdom. She pursued a number of eccentric attempts to do so independently, finally discovering a meditation practice tradition that puts first things first - the preciousness of human life. She attempts to support that tradition through scholarship and practice. She joined ACC in the Spring of 2016 because she was impressed with its mission, to 'empower, advocate for and assist people in need,' as well as the one-on-one approach to meeting people where they are, and offering a steady hand when they ask for one. When I first heard about ACC I was instantly drawn to this organization. I have always believed that in order to aid others you need to be aware of the challenges that everyone faces, no matter how existent, or withdrawn they seem to be from our own lives. As someone who has been striving to find a space where I can awaken my own awareness to how I can actively implicate positive social and political change, ACC opened their own doors to me as an intern. At ACC I strive to bring an added empathetic presence in order to assist those who are susceptible to disadvantages in our own localized community. I believe in a grassroots approach to change, and I promote that it is spaces like the one that ACC has created that serve to combine kindness and guidance in order to create a widespread impact. As a college senior my focus has become finding environments where I can kindle my own passions and pursue my goals to work in spaces motivated by the prosperity of others. As my college career has been packed with classes and working part-time, I am happy to be able to dedicate some time to ACC and their client base in order to have an opportunity to give back, while simultaneously investing in my own future, and helping those in need. I have always been someone who takes pride in my work ethic and dedication. I grew up in the Pioneer Valley so I feel a very strong connection to this community, and I am happy to have found a way to help it grow and thrive. I have always enjoyed working with others, and I easily become invested in enriching environments. I also identify a strength of mind to be my self-awareness and social intelligence, I am constantly reminding myself to be in tune with those around me in order to interact in empathic and intellectual ways. In my free time I enjoy spending time with my dog Bella, she is a 5-year-old Pitbull that I rescued 2 years ago. She has taught me a lot about the importance of companionship, and we love going on hikes, and bike rides. In the winter I enjoy downhill skiing with my family, a sport that myself and my two brothers have been doing from a very young age. Recently I have also been striving to limit my use of technology and filling my time with reading a variety of books and dedicating some time to writing and journaling. I enjoy being outdoors in all seasons and I hope to continue to explore, connect with new people, and travel after I graduate. I was immediately drawn to Amherst Community Connections as soon as Hwei-Ling asked two questions, “Do you like people and do you like to write?” Since I am a sophomore journalism major, I could not think of anything more suitable for me than interning at ACC. Amherst Community Connections advocates for people who do not have the ability to do so for themselves, and the basic premise of being a journalist is functioning as an overseer of those whose power or position most affect citizens. Journalists are even sometimes referred to as “watch dogs” because we try to provide a voice to the voiceless. I was also drawn to ACC due to growing up in a family that is heavily involved in the foster care system through the Department of Children and Families. Through my family’s involvement with DCF, I have had over 100 “foster siblings” and I have also gained two younger siblings through adoption. I have a passion for trying to advocate for the homeless because my youngest sister was directly affected by homelessness throughout her childhood before my family adopted her. Without my little siblings, I would lack some of the better traits that I have today, traits like my ability to be open-minded and my appreciation for the little things in life. Growing up in a multi-racial family I have learned how to face the true challenges of diversity, and I believe I can help others face their own challenges. In my down time I enjoy reading memoirs because they always start with an author facing a challenge and then proceeds through the journey to a resolution of their problems, which gives me a certain drive and inspiration with each story I read. Along with being an avid reader, I enjoy street documentary photography. This style of photography is very similar to the case of “Humans of New York” but with a little less intensity. I enjoy going into big cities like Boston and Providence with my camera, snapping candid pictures of people. One of my favorite activities is participating in aerial yoga because in a world of chaos, it is nice to unwind. I first heard about ACC after joining the group of students surrounding Hwei-Ling at UMass’ non-profit student job fair; however, I did not know I wanted to work with ACC until after I attended the organization’s workshop “How to Be Funny” by Tim Lovett. Following this workshop, I realized that being an intern at ACC would be a rare opportunity that I needed to take. To me, ACC is an organization that seeks to empower vulnerable groups beyond helping them find housing and jobs. ACC’s mission includes instilling a confidence within these groups that they can make it past the difficulties in their lives while also creating a support network to fall back on if they ever face difficulties again. As a hopeful future social worker, I love that I am gaining experience in how to better the lives of others by designing weekly programs to engage them and show them they have a support network right here at ACC. ACC is not my first experience advocating for Pioneer Valley’s homeless population. Last year, I worked with a student coalition to prevent Craig’s Doors from losing its state funding. We were successful, and along the way I learned the proper skills to advocate for vulnerable groups in the community. I have good communication skills, am an experienced writer, and am increasing my event planning and organizational skills with every opportunity I have. At ACC, I utilize these skills by helping organize and plan events every week; helping write up short articles for our blog or newsletter; and advertising events through mail, social media, or flyers directed at the community. When I am not working, I love any opportunity to decompress and be creative. I have been an active runner since high school and hope to run a half-marathon in 2018. For me, running is a way to forget about any stressors in my life and just go as fast as I can. I also am a novice yogi and have been trying repeatedly to meditate, but I can’t seem to ever get my brain to focus on anything for longer than 10 seconds, which my mom keeps saying is a part of the process! In addition to that, I enjoy embroidery and writing poetry when I am in the mood. I am also a rookie knitter and hope to one day be able to knit well enough to make an afghan as beautiful as the ones that hang on the ACC walls. I first learned about Amherst Community Connections when founder and director, Hwei-Ling Greeney, spoke about her work at an event on Amherst College’s campus. I was struck by her commitment to tackling social inequities in the local community and her passion for people. Almost two years later after I graduated from Amherst, I have the opportunity to intern with ACC during my post-bacc year at the College. Although I am on the pre-med track and aspire to someday be a physician, I majored in anthropology and have always valued community and advocacy as important parts of wellness and healing. I feel strongly that health cannot be conceptualized in a vacuum of science and symptoms, but rather as a mosaic of factors both genetic and environmental. The impetus is on healthcare providers and community advocates alike to lessen the environmental burden on communities like those that ACC serves. After fleeing our native Ethiopia over 15 years ago, my family and I were fortunate enough to be granted political asylum here in the United States. I have experienced firsthand the hardships of disenfranchisement, from dislocation, to housing instability, to a low income trying to support a family of six. The barriers to stability and safety can honestly feel overwhelming considering the obstacles, but luck struck for me again and I got the opportunity to attend a college I couldn’t have imagined in my wildest dreams. I want to find my own small ways of helping others in similar positions gain the access and resources to be the best, healthiest, and happiest versions of themselves, and I think ACC is the perfect chance for me to do that. Outside of academics, I am a huge music enthusiast, particularly jazz music. I have played the upright bass for almost 10 years. Although I am nowhere near skilled enough to play professionally, playing jazz bass gives me a chance to unwind and just focus on enjoying the music for some time. I initially heard about ACC about a year and a half ago when Hwei-Ling came to my school to speak with a club I am a part of, called KDSAP (Kidney Disease Screening and Prevention), about what ACC is all about. I did not take any steps to actually intern here until this past summer, after I had the opportunity to intern at an organization called Boston Health Care for the Homeless Program. I spent the summer building connections with individuals in Boston who were experiencing homelessness, learning about the unique barriers to achieving health these individuals were facing, empowering patients to develop greater computer and phone literacy, and assisting in BHCHP’s respite facility. The experience was an incredible one and I realized I had the opportunity to do similar work in the Amherst community once I got back to school, so I reached out to ACC. In the past I have worked with children with autism and developmental disorders. I am passionate about ultimately going into a field that will allow me to work with children struggling with mental illness and psychiatric conditions, as I believe every child deserves the opportunity to reach their full potential. The reasons for why working with this population is important to me are similar to the reasons I am drawn to this internship. I want to contribute to bettering the lives and health of the people most misunderstood, overlooked, underserved, and stigmatized in our society. Most of all I am enthusiastic about working to serve the needs of those that ACC aims to serve, learn from the stories and identities of others, and utilize my perspective-taking skills to problem solve. 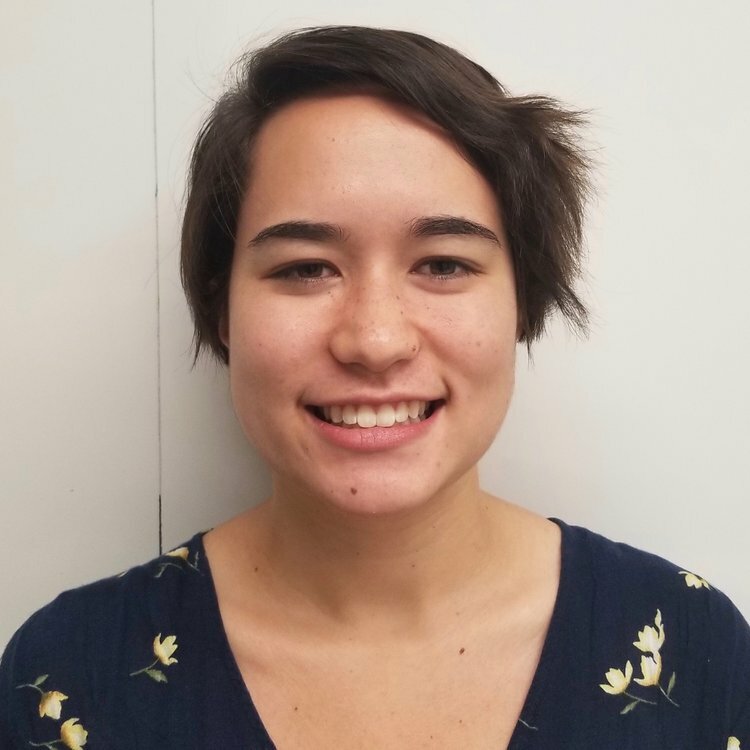 Outside of ACC, I am a research assistant in a psychology lab that studies peer relationships, I volunteer at Cooley Dickinson Hospital, and am a mentor to younger pre-health students. I enjoy spending time with family and friends, finding different means by which to exercise, visiting small local area restaurants, and enjoying the outdoors. I came to ACC because I felt that this would be a great opportunity to learn and develop important skills while being able to help those who need it. I am an Eagle Scout and deeply value being able to serve the community. My experience in Scouting has given me an understanding of working in a nonprofit environment with a focus on helping others and service above self. I spent the past seven summers working to help run one of the premiere Boy Scout camps in the Northeast, Wah-Tut-Ca Scout Reservation in Northwood NH. The last two summers I spent there was in a top administrative position. That experience has given skills in graphic design and video editing skills and I am excited to take to ACC. This past summer, I assisted managing a local exterior house painting company that brought in over $90,000 of revenue and taught me a great deal about the importance of hard work. I have seen that homelessness is a serious problem in this area and ACC is a direct way to make a large difference in the lives of others. As a Communications and Political Science double major at UMass Amherst, I look forward to being able to expand and further the message to be able to do as much good as possible. I am excited to help create new forms of media to further the reach of the good that ACC does. In my free time, I am an avid musician and play bass guitar in a local band named Wax Harpoon. It is an all-original alt-rock sound; you can find us in the local bars in the area and providing entertainment for other student-run events. I hope to be able to enhance my writing and research skills as well, as any form of communication is essential to being successful in the professional world. When I graduate in May of 2018, I hope to take the skills I have learned onto the campaign trail and try to work for a local political campaign, to further the good impact that I can make on society. I experience great joy in helping people, and when I recently came close enough to know some of the clients at Amherst Community Connections, and to have friends among them, I was moved to throw my skills into the hopper of volunteers assisting those with the agonizing problem of having no place to sleep––or who are being evicted from wherever they have found shelter. 80 years of living and two careers (ministry and psychology) have given me the opportunity to learn many skills––starting with the simple practice of being as kind and generous as I can be. That comes back to me in the form of many inspiring friends and the satisfaction of giving protection to people who are much closer to the edge of despair than I am (most days). I actually believe that the primary purpose of our all being put on earth is for us to learn to help one another. One of the skills which I have cultivated most diligently––having witnessed the pain that individuals, couples, and nations intentionally inflict on each other––is Peace­ful Conflict Resolution (and its kissing-cousin, Non-Violent Communication). I have so often been the “good referee” to mediate compromises in such situations that I take those skills to Israel/Palestine for a month every Summer to try to make peace between the Jews and the Muslims there. Much is left to be done, and I sometimes feel I am “ducking bullets (or dodging knives) for peace,” but I never like myself better than when I am doing it. Helping my agency over there (known as “A Tent for All Nations,” or “Tent of Nations,” south of Bethlehem) has honed my skills at writing grant-proposals and conducting “project evaluations.” I’m hoping to do more of that in Amherst, including for ACC. In the meantime, I enjoy teaming-up with my good friend, John Des Chenes, to teach conflict resolution, positive psychology and authentic happiness in the Amherst and Greenfield area. I live in a “fun” spot––by the dam at Puffer’s Pond––and find the waterfall and woods to be supportive of my practice of meditation. Add my guitar and the jam-session group I frequent, and this is “almost heaven.” Maybe “everything is holy, now,” as the song says. If so, let’s share it. Tom first came to the Pioneer Valley for high school at Deerfield Academy and for college at Amherst College (Class of 1973). After Amherst, Tom studied philosophy in a French-language university in Belgium, having spent his junior year of college in Paris. After Belgium, Tom spent 28 years in Washington, D.C., obtaining a law degree and practicing as an international trade lawyer in private practice, in government, and for Digital Equipment and then Compaq. Tom returned to Massachusetts in 2003 and currently works in development for Amherst College. Tom’s volunteer work for ACC is the most recent in a series of volunteer roles he has taken on since returning to the valley, including hospice volunteering, decisional counseling at the Hampshire County Jail, and membership in Amherst’s Zoning Board of Appeals and the Dickinson Local Historic District Commission, which he chairs. Tom helps the ACC’s clients in a variety of ways, drawing on his legal, zoning, fundraising, and other experiences. "Joining the team this term as a new volunteer I had no idea what a fun, challenging, and eye-opening experience ACC would provide to me. Whenever I step in through those doors there is a new task to complete or a new hurdle to overcome and when it is time to wrap-up I am proud to say that ACC always leaves the community in a better place even if it was just helping one individual that day. Hwei-ling Greeney, the executive director, works tirelessly while maintaining strong personal connections, not only to the community members, but also her interns making everyone feel welcome. The some of the tasks that ACC has given me have been more challenging than others, but all have provided me a chance to participate actively in my community. My favorite part of volunteering at ACC has been the opportunity to work individually with community members in assisting with their case work. One woman in particular stands out to me as being unwavering in her courage and determined to push past her chronic homelessness. The time spent working together included filling out and mailing housing applications, doing job searches, working on resumes, but also getting know each other on a much more personal and meaningful level. I have been fortunate enough to work with her as she has put an incredible amount of trust into my hands and allowed herself to be vulnerable and share her story. Some of the projects handed to me were more challenging than others, including the research aspect. My research on advocating for the shelter of homeless individuals in Amherst for this upcoming summer has been the most challenging. The most difficult part of this task was the time crunch and working with the town of Amherst. Trying to establish an immediate plan that encompasses the needs of the homeless population while adhering to the town’s restrictions has been a challenge. ACC is truly a fast-paced and fluid environment, their goals shift on a daily basis in order to meet the needs of the community. My position here has solidified my career choices in working with individuals in need. I aspire to work in environments that always challenge me and help me learn more about myself and others. As a Public Health and Spanish major I hope to provide assistance to a large variety of people with diverse needs." "Interning this past semester at ACC has been an incredible experience of learning, doing new things, and receiving different perspectives that I have never been exposed to before. The wide range of projects and tasks that I was assigned to during my time here have been both challenging and exciting, and through them, I was able to gain so much more knowledge. My main project while I was interning was starting up the Restoring Dignity for Homeless Women. Period. fundraiser project. This project was not only my favorite project, but it was also my most challenging one. This was my favorite because most my time was spent investing in just this project and advocating for underrepresented people is something that I am passionate about. Before even coming into intern at ACC, I was aware of the significant population of people who are homeless in the Amherst area, however, through jump starting this project and doing more research, it sparked even more of a passion to help those in need of such resources, especially the women within this population. On the other hand, the Restoring Dignity project was also my most challenging because of the nature of how fundraising is. There were times when I was discouraged at the fact that there weren’t enough funds coming in, no one was donating to the fundraiser, or when I wasn’t receiving responses from campus organizations for collaboration. Although I was passionate about the cause, it was hard for me to be the one in charge of everything to do with this project and to make sure that it was successful. But even with this said, I really did enjoy being a part of this fundraiser campaign and it was a rewarding experience for me to know that I played a part in helping women who are homeless and are in need in my community. Interning at ACC has also impacted my future goals and career choice. I have always wanted to work for a non-profit organization in one way or another and having that first-hand experience at ACC has shown me both the feelings of fulfillment and struggles while working for a non-profit— otherwise known as reality. I now understand the workings of how a non-profit operates and although there are many challenges, it gets me excited to continue with that dream and passion to work for one in the future. ACC has shown me and helped me to pin point what exactly I am interested in and how I can use my interests in so many different aspects. I was able to use my interests for health/public health along with my passions for film and photography towards my various projects at this non-profit organization. I now realize that I am fully capable of utilizing all my talents and passions when working in an organization like ACC in the future. Working with ACC has also helped me to cultivate an even deeper desire for advocacy and public policy. While briefly working on a research project on helping to create legislature or policy for the right to shelter for individuals, I was also able to use my skills and prior experience with working in the State Government office towards this research. I realize now that there are so many areas of work that interest me and that I can use these aspects towards working for organizations like ACC. Non-profits are more than just advocating for the specific cause, but also requires so much more work behind the scenes. Overall, interning at ACC has been beneficial for me and has enlarged my goals and aspirations for my future career." "Interning at Amherst Community Connections has taught me valuable skills and lessons while giving me insight as to what sort of work I may want to be doing. My favorite project that I have worked on has been my research on the incarceration system, especially my interview with James. I’ve thoroughly enjoyed investigating and writing about the issue. It is a satisfying process to start with an idea, solidify it with data, and subsequently format it for readers to get your point across. On top of that, it is an important issue that I am very interested in—making it that much more rewarding to work on. During the project I found that speaking to James was my favorite part. The human side of issues like these often gets lost in the numbers, and James’ story was a perfect way to ground it in reality. He has an incredible desire to be free for once in his life, and his friendliness made it that much more interesting to hear his story. My work with Hannah on the Restoring Dignity project was probably the most challenging thing I worked on. In the early stages, there was a lot of outreach to fraternities and different organizations on campus for assistance fundraising. Most of the time my emails were left without response, and when they did get a response it was rarely positive. It was somewhat frustrating because it was mostly out of my hands, all I could do was send emails and texts and be sure to follow up. There was not much I could do to actively fundraise, putting me in a a position of feeling powerless. However, as the project progressed, Hannah got some positive responses to our pleas for fundraising, we started the necklace sale, and it became easier to assist in the project and the feeling of powerlessness dispersed. My time at ACC has impacted my thoughts on possible career paths, but not in the way one might expect. The internship is a great environment for producing social workers and other people suited for similar professions. However, the part I most enjoyed was the process of investigative research and designing research for consumer consumption. The publication of the newsletter and writing the articles that it entails is something that captured my attention. I intend on majoring in journalism, and hopefully continuing to do similar work throughout my career. Working at ACC helped me develop many skills and identify what sort of work I enjoy and would like to pursue. It has overall been an incredibly beneficial experience for me, and is work that I am proud and happy to be doing." 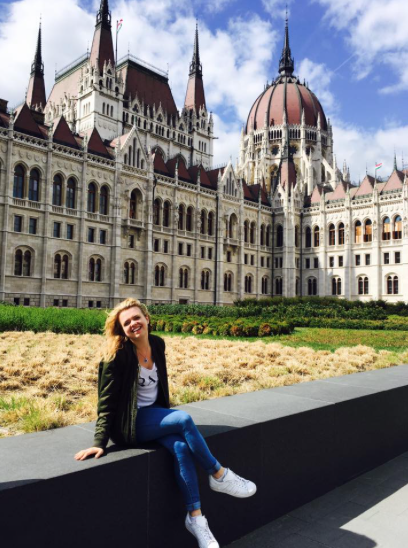 "My favorite part of interning at ACC has probably been my time spent at Jones Library. At Jones Library, my job is more or less equivalent to an information/help desk. If someone comes looking for housing, shelter, healthcare—or as is often the case: resume and help with job applications. Since people are free to stop by at their leisure, it is usually less chaotic than the morning routine at ACC. Even still, I’m able to help 2-3 people a day, which is slightly more than I can personally help during case management on a given Friday morning—in which traffic is much heavier, but, many talented caseworkers are there to lighten the load. Libraries generally have a pleasant atmosphere making for a nice place to get work done. Some days are slow, but even then, I’m usually able to spend time working on individual research projects for ACC—so it’s rarely unproductive. However, I can’t necessarily say it’s always as pleasant for those who are in need of assistance. I’ve heard multiple stories about abusive landlords, previous incarceration, and failing health. Though these stories aren’t endemic to the library themselves, it’s still a grim tale. I hope that it’s at least somewhat cathartic for them to get these stories off their chest. On the opposite side, the hardest project for me this semester was undertaking research to find public housing policies in Germany. Prior to undertaking the project, I had finished a similar project with the United States, in which the outline was exactly the same: to give an overview of the most prominent forms of public housing in the country. When compiling data on the United States, I had a lot of resources to choose from—the H.U.D. webpage, the UMass library, etc. When finding resources for Germany, I was heavily restricted by the language barrier. Because of this, I found 2 reliable sources with about half as much information. Policies that seemed unclear like “Wohngeld” and “Sozialhilfe” would take multiple searches for information, and little would be returned that didn’t further confound things. When thinking about future career choices, ACC has given me direction by virtue of work experience. I know that I’d like to do something that feels fulfilling (I’d also like to be in a touring rock band as well—but that’s beside the point). Poverty is an institutional problem with a multitude of factors and it’s nearly impossible to solve as one person. Someone who is looking for a job and housing without access to transportation, clean clothes, and other amenities that are often taken for granted, is going to have difficulties, even if they’re the most hardworking person in the world. Sadly, they will almost never appear that way to potential employers. Being able to make an impact, whether big or small, is important. Instead of an innocuous career that feels meaningless to me, I know I want to do something more efficacious—and for furthering this ambition, I can thank ACC." "Interning at Amherst Community Connections has truly been a wonderful and eye-opening experience. I was grateful enough to be able to work on several projects and create many articles for the website and Facebook page. My favorite part about interning at ACC is by far attending the community breakfast and Incubator Meetings each Wednesday. When I worked in the office, participants were often more sheltered and did not open up as much about their personal lives, but at the breakfast, they were often chattier and livelier. I was able to get a better sense of who they really are in this environment. The Incubator Meetings also allowed for a more personal environment where people shared their likes, dislikes, and personal problems. My favorite project was creating the fundraising letter for this spring. I had never done something like that before and I was glad I got the experience to do so. I enjoyed reading fundraising letters from the past and adapting it to my own style as well as incorporating stories from participants that I had a personal relationship to. During my time at ACC I was also given the opportunity to research an organization called Soldier On. I researched the organization in depth and made several calls to local officials in an attempt to one day have a meeting about potentially getting veteran housing in Amherst. It was frustrating when I would call and leave messages for people and they would not return my calls. While I understand that they have many other things to do in a day, it would have been nice to speak to them more directly about an issue that persists in our community. Before interning at Amherst Community Connections, I had no idea what it was like to work in the human services field. I had experience engaging with people who use SNAP benefits, but I had no prior experience with people who were homeless or had mental health issues. This internship experience made me see that it takes a lot of persistence and hard work to be in this field. I am still deciding if this field is the right career choice for me, but I would not change anything about the experiences I have gained over the past few months." 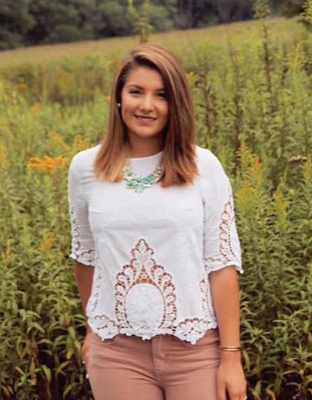 "I have learned a lot in the past school year while interning at Amherst Community Connections. Gaining experience working with our participants has been invaluable to me in developing skills and in considering my long-term career goals. I have learned a lot and gained a better understanding of the various issues that affect people experiencing poverty and homelessness. Learning more about these issues has helped me be more able to effectively help the people that I work with here. I have also learned from listening to the stories and insights of our participants. I think that the most important thing that I have learned at ACC this year is that most problems don’t have quick and simple solutions, particularly the ones that our participants face. Some people know what they want early on and have clear goals for their career and their lives. Me… not so much—I’ve been pretty indecisive. Figuring out my career aspirations has been a slow journey. As I approach the end of my internship at ACC and my graduation, it has become clearer to me that I want to pursue social work in the future. I have considered many different career options over the past few years, and social work is the only thing that has remained a constant option. Interning at ACC has been instrumental in coming to this conclusion because it took the idea of being a social worker and made it concrete. I want to work for a few years and gain more experience before I apply to graduate programs in social work, but I’m fairly certain that this is the path that I want to pursue. The most challenging thing about this internship is something that I mentioned earlier, that there aren’t quick solutions. It’s frustrating that it takes so much time to achieve goals like finding people housing, especially when people are reliant on shelters during that time. Many people who come to ACC are in extremely difficult circumstances, and even though they need things to change immediately that often can’t happen. One positive thing that I have gained from this challenge is watching how resilient people are. It has been empowering to watch people try to work towards their goals despite their frustrations and challenges. The challenges that I have faced in the past year at ACC have helped to make it a better experience because the challenges have made it more fulfilling, and because it is during challenges that we experience the most growth." 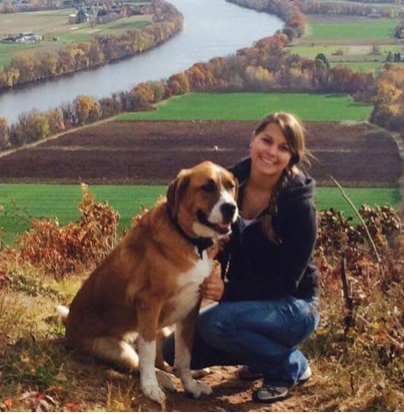 "Throughout my semester working at ACC I have enjoyed working on the Valley Gives fundraiser. I have never been a part of a large fundraising campaign before, so I feel that I have learned a lot from this experience and will be able to use my new knowledge in the future. I think interns at ACC are trusted with a lot of responsibility, which allows for more growth and learning. My writing skills have improved from framing our campaign through various stories and explanations of why homelessness needs to be ended in Amherst. On top of Valley Gives, I also enjoy doing publicity for events at ACC and making flyers. Flyer design is a great way to explore your creativity and have some fun with the work. I liked having lighter tasks like this on top of the more difficult and long term work of the fundraiser. Having new tasks everyday made working at ACC more exciting because you are constantly learning how to do new things and getting variation in your days. I generally enjoy being active so having variation at work made this internship interesting for me. While I have enjoyed the work I have done at ACC, there have certainly been challenges in learning how to tackle tasks that are new to me. For example, planning a publicity timeline for Valley Gives was unexplored territory for me, so I had to learn quickly and find out how to do the job effectively. The fast paced environment at ACC means you have to be able to adapt quickly and maintain some flexibility. Though some tasks were challenging, I learned a lot and can take my new skills with me to my next stage in life. I have learned a lot about how a non-profit is run from this internship, and hope to follow a career in the field of non-profit or NGO management. My role at ACC was more behind the scenes, rather than working directly with clients. As someone with a big-picture mindset, I think the organizational side of working at a place like ACC is a good fit for me. I gained new knowledge about poverty and homelessness from this internship as well as from writing my Senior Thesis on welfare policies in the U.S. With insight from both the internship and thesis, I hope to do more work combating poverty and inequality. I enjoyed doing research that related to the work that ACC does because I could connect what I read to real examples. Based on these experiences, I plan to follow a career that includes organizational work and research with the goal of reducing poverty." "My favorite part of interning at ACC has been the experience I was able to gather from working individually with participants. Establishing on-going professional relationships with participants has taught me a lot. It has been an amazing experience learning how to work with the strengths of the participants I work with in order to work towards their goals. Additionally, it has been a great experience being able to work with and learn from the ACC staff. Namely, Hwei-Ling, Lillian, and Priya have each taught me so much in their own way. I have learned concrete skills such as doing intake notes with clients, applying for federal benefits, searching for affordable housing, and writing resumes/cover letters for folks. However, I have also learned a lot less-tangible skills as well. For instance, I have learned how to listen, offer advice, and challenge/empower participants to take a degree of action into their own hands. What I found most challenging was learning how to challenge participants. For instance, as a part of the Frequent Flyer program, I found it particularly difficult to challenge clients to work harder for their points. Other times I found it difficult to empower people to take action for themselves. For me, it seems intuitive to be as helpful as possible in any circumstance. However, I have had to learn that sometimes you need to withhold a degree of help in order to get the participant to be empowered to take action. This was also true in regards to our bus pass policy. It seemed intuitive to make it as easy as possible to get bus passes via the frequent flyer program for homeless participants. However, Hwei-Ling showed me that it is sometimes important to make these rewards more challenging to receive. This internship has impacted my career choice insofar as it has given me invaluable experience in the social service industry. As of now I am split between going to grad school for social work or nursing. Coming in to this internship I was planning on attending an MSW program soon after graduation. However, I am now strongly considering a career in nursing as well, more specifically: psychiatric mental-health nursing. I will be applying for jobs in the summer and have been talking to the director of a non-profit school for Autistic children in eastern MA. I feel as though this would be a good way for me to gain more experience through working with a new demographic of folks. Working with individuals with mental disabilities is something I feel would be a great experience to help further orient myself to a career in psychiatric mental-health nursing. I will likely work for a year, and then apply to graduate programs in the fall of 2018. Ultimately, my time at ACC has resulted me firming up my decision to pursue a helping career, and has pushed me in ways that I greatly appreciate." “'If I can just help one person, it’s fine, it makes sense to me, I had a purpose in this world,' in one of my last interviews here at ACC, James, a man who was released from jail just two weeks before I spoke to him, said this to me. He wants to tell his story, in hopes that someone will hear it and avoid the path his life took towards incarceration, drugs, and homelessness. I’ve heard many other people within Amherst’s community express this to me before in interviews and in everyday conversation. In a society immersed in consumer culture and self-absorption, many of us still feel this way—I feel this way. In the summer of 2016, I spent most of my days in ACC’s office. I went well above my required 12 hours a week, sometimes coming in every day. I was a new intern and I found my place and sense of purpose within the organization quickly. After I helped publish my first edition of our newsletter, I spoke to a man at the weekly community breakfast at the UUSA above ACC’s office. He told me about the importance of the work I was doing, then, to my surprise, had me sign a copy of the newsletter for him. At the time, it seemed comical to me, I doubted that he’d keep the copy for long. Who knew if he even had a place to keep it? Reflecting upon it later, I realized that what I was doing was more important than I could have ever imagined. I was helping to give a voice to a group of people who seemed to be invisible. I was shining a light on an issue that we all are faced with every day, around every street corner, but are still blind to. I don’t know exactly how many people read our newsletter every month, but we do email it to over 1,000 people and hand out even more physical copies most months. However, I do know that the articles I write have a big impact on the people we work with. Being able to listen to someone’s story is a special thing and I know many of the people I have interviewed were grateful for the opportunity to share their experiences. We need to give a face, a name, a voice to these people—to humanize homelessness—and come together through our community. We can only ignore and criminalize the panhandlers and people sleeping in our doorways for so long—talk to them, listen to them. Allow these kind, smart, and hardworking individuals to inspire you, as they have done for me. This is my last issue of What’s Up?! and I will miss the people who inspire me daily—my coworkers and the participants here at ACC—dearly. I hope to continue writing in the future, hopefully for a purpose as important and inspiring as this newsletter has been to me." "I worked at Amherst Community Connections from May through December 2016. It was a fantastic learning experience. I had the opportunity to work one-on-one with individuals who live in poverty who are largely homeless or struggling to remain housed. This population is targeted by law enforcement, has nowhere to sleep, little money, little access to food, and many other issues that are extremely difficult to overcome, along with the ever-present, and sometimes seemingly impossible, problem of finding permanent housing. I had many experiences working with and addressing issues that pertain to homeless and low-income individuals at ACC that have affirmed and furthered my interest in social work. I worked one-on-one with homeless and low-income individuals to help them call therapists, doctor’s offices, probation officers, legal aid offices, or the DMV, among many other places, to make appointments. I sat with numerous participants and looked through listings on craigslist and other websites as well as listings that ACC compiles, helping the participant look for an apartment or for employment. When looking for employment, I often sat with participants to help them write a resume. Additionally, many times, I helped participants to fill out application forms for SNAP benefits, SSI/SSDI, fuel assistance, and MassHealth. I also simply sat with participants, speaking with them about issues that are bothering them and helping them to work through the problems in constructive ways that produce realistic solutions. Behind the scenes, I conducted research into different ways ACC could help individuals who are homeless. When I first began working at ACC, every day that I was there I began my day by taking down 5 daily housing listings and 5 daily job listings. The housing had to be on a bus route, and under $500 a month, and the jobs also on a bus route. Additionally, I put together a resource booklet that contains a comprehensive list of resources in the Amherst area that might serve people who come into ACC, such as soup kitchens, food pantries, homeless shelters, legal aid offices, respite centers, and mental health clinics. This internship taught me a great deal. Working one-on-one with homeless individuals on a regular basis taught me how difficult it is to overcome the barrier of homelessness once a person becomes homeless. It is impossible to get housing without money, but it is impossible to have money without a job. And, it is nearly impossible for a person to get a job when they are homeless, because they often do not have clothing for a job interview, money to print out resumes, or a place to shower. Some homeless individuals try to get SSI or SSDI, but the applications require a large amount of time spent going to doctors and gathering records, which is nearly impossible without a home to store them in and a car or money for transportation. Even if a person were to save some money up, in the Amherst area, apartment rentals under $500 a month are scarce, and they are generally rooms in apartments that someone else rents. And, in order to move in, a person usually needs first and last month’s rent, plus security, which can be more than three times the cost of one month’s rent. Additionally, most landlords or sub-letters will not want to rent to someone who has a spotty rental history, previous evictions, or bad credit, problems many homeless individuals unfortunately have. Learning all of this from this internship showed me that there is a huge need for social workers in our society. So many people need services that they are not getting, and social workers help these people who have fallen through the cracks, like the participants at ACC. I gained a huge appreciation for the effort and persistence that it takes to help someone solve a major life problem, and through this experience have affirmed my passion for helping people. I also learned a lot about what it actually takes to help someone solve a problem, and learned that I enjoy and find great reward in doing so. The knowledge that there are so many people in need of the services social workers provide, combined with my zeal for helping others, are what have led me to choose the field of social work. Next fall, I matriculate to the Masters in Social Work program at Columbia University in New York City. My ACC Internship was my most influential educational experience and also provided the essential work experience that I needed for admission to graduate school. Thank you Hwei-Ling!" "My responsibilities as an intern at ACC included working one on one with participants to see how I could best help them that day. For example, one day I could be helping a participant search for an affordable apartment and the next day I could be assisting a participant creating a resume or searching for a job. Furthermore, I assisted participants file for Section 8 housing, SNAP benefits, and other financial assistance. I also had the opportunity to interview people who donated to ACC, manage social media, and co-facilitate the Wednesday Incubator Group Meetings. I am now a first year student at Boston University working towards my Master's in Social Work. My current internship is working with students ages 8-13 at a positive youth development program located at Winthrop Elementary School and Middle School. My work at ACC solidified my desire to become a social worker and working with participants gave me the opportunity to develop my interpersonal skills. As I continued to meet with more and more participants and discovered their diverse backgrounds, I became interested in how the environment effects the individual. Each participant had a unique background which contributed to their current situation. When working with people, I think it is extremely important to understand where an individual comes from and how systems of oppression hinder people from achievement. I hope to continue to work with individuals to help them achieve their full potential. I enjoy working with children and families and hope to pursue that in the future! I would like to give a shout-out to Merilyn, she always came to Wednesday Incubator Group Meetings and seemed to brighten my day. I had the opportunity to interview Merilyn and hear about her past and write an article for ACC's newsletter. Hwei-Ling also allowed me to come help Merilyn move into her a room in an apartment unit! This was an amazing experience that I was lucky enough to be a part of. It shaped my perspective on life and drove me to want to help others. I would also like to give the executive director, Hwei-Ling, a shout out. Hwei-Ling is a driven, inspiring individual who goes after what she believes is right. There is a lot of injustice in this world and Hwei-Ling's motivation to create equality is incredible. Her passion helped me develop my passion and I thank her for that!" "While at ACC, I was responsible for researching homelessness and the policy around it. I was also responsible for analyzing the outreach of the Facebook page and figuring out how to reach a greater audience. I learned about resources available to individuals looking for housing, shelter, or food and was responsible for being able to direct participants to these resources as well as conduct basic casework such as helping participants fill out housing applications. Now, I am finishing up my last semester as a senior at Amherst college. I will graduate as an English major, I still have to take some summer classes to earn my diploma, but after that I'm home free! I remember first sitting up in the ballroom with Kyra, conducting interviews of each other for the ACC newsletter. I remember sitting at the table during lunch with Abra, Hwei-ling, and Kyra having a meal of grilled cheese, salad, and soup. I have a lot of memorable moments, so I'll save those for another time. I definitely want to shout out Abra, for the amazing work she does, but most of all I want to shout-out Lillian for the love she showed myself and everyone else who came into ACC. Lillian your energy, enthusiasm, and creativity are stunning." “I worked on many tasks at ACC and I loved being able to complete new and different tasks each day. It made coming to ACC fun because I never knew what I was going to doing that day; it was always a nice surprise. I thrive on variety and change; following the same routine every day is boring to me. Out of all of the different projects I worked on at ACC, I couldn’t choose favorites. I loved everything I did and everything I learned, it was a great balance. I believe that changes are what makes a person wiser and stronger. My internship at ACC taught me things I would never be able to learn in a classroom and I think that gaining such hands-on experience is precious. It is different than sitting in a classroom and learning about the duties of a social worker. I think it’s easier to listen to a lecture, but for me, doing the actual job is the difficult part. Each person I met at ACC changed my life—when the participants left happy, I left happy. When they were sad, I was as well. I helped people in ways I never could have before interning with ACC. I love being able to help those in need and being an intern made me feel more like a more useful person. In some cases, I tried my best but still cannot help participants fully. For example, I could help them find housing but it wasn’t up to me if they get accepted or rejected. It was frustrating for the participant and for me because I really wanted to help them move into a room and get off of the streets. ACC welcomes everyone and I got to meet different people I have never come across before. I also loved working with other interns--they were are all very nice and friendly. I loved talking to them and getting to know them better because I believe everyone has interesting stories to share. I liked listening to their experiences and taking something away every time. "My main responsibilities at ACC were direct service. I mainly worked with the participants to do housing searches, job searches, or assisting with anything that they needed help with. I also helped write the newsletter some months, and completed research for Hwei-Ling on different housing options in the area. I am currently working at Morgan Memorial Goodwill Industries as a Job Site Specialist. I help with the day to day work direction of adults with disabilities. I teach a job readiness class that helps prepare these individuals to get jobs in the community. ACC helped shape who I am because I was encouraged to find human service jobs, and to want to better the communities that I am a part of. I would like to give a shout out to Evan Guadette, my co-worker, I really enjoyed interning with him, and also to Danny Kee, one of my favorite participants who brought me flowers once." "My responsibilities at ACC included redesigning and updating the ACC webpage, as well as helping with case work and other tasks around the office. Additionally, I played the role of photojournalist and editor for the monthly newsletter. I am currently working at the UMass Amherst Annual Fund and am seeking gainful employment for after graduation. Working at ACC taught me a lot more about community relations and the impacts and causes of homelessness. I learned a lot about how difficult the process of gaining access to housing and government support is. My wisdom is to take a deep breath and understand that you can only do what is within your control. You want to help everyone, but there is only so much that one person can do and not everything is in your control. You can do what you can do and beyond that the best thing you can do is listen, support and advocate for the unheard voices of the people you work with as you help them find their own agency." I was introduced to ACC when Hwei-Ling came to my school to talk at a KDSAP meeting, a club that I am part of. She asked us what we, as college students, could do to make a difference and she playfully dismissed the answer, becoming a successful alumnus and donating millions back to your home institution – and her dismissal could not have been any more valid. She then offered a quite humbling alternative: to become an advocate for vulnerable individuals of our immediate community. I have always had a penchant for the passionate act of giving and ACC seemed like the right place to be. ACC is unique as you dive right into the community and tackle the social inequities that are often overlooked. ACC offers me the precious opportunity to spend my time in changing lives for the better and instilling confidence and hope in those who need it the most. With grit, there is no such thing as a problem without a solution. For every client who I meet, I am determined to find a personalized solution that works best. However, I understand a solution is not the be-all and end-all, and so I firmly stand by upholding the value of the humanness in an interaction. I believe that one genuine smile can go a long way. I carry more than happiness with my smile; I also carry my welcoming for others to feel safe and comfortable around me, my compassion to genuinely understand others, and my promise to hear out any person’s story. That being said, I offer my smile to everyone who comes through the doors of ACC with the commitment to fostering positive change. Outside of ACC and academics, I am a huge food enthusiast. I love to cook, anything from classic chicken parmesan to traditional Korean dishes. My favorite and dare I say specialty of mine is guacamole. I am an avid proponent of chunky guacamole with oodles of cilantro and lime. Being a food enthusiast, I love to explore eateries wherever I go. I’ll go on impromptu adventures to the local farmers’ market or aesthetic cafes or even cities solely for their food-trucks! I felt compelled to apply for an internship opportunity at Amherst Community Connections after reading about the meaningful work done to support those experiencing housing insecurity in the community. Housing is a fundamentally important issue, and I have spent much of my time as a Sustainable Community Development major at UMASS focused on the issue of providing adequate affordable housing. To have the opportunity to do meaningful real-world work assisting those in the area, acutely in need, is an exciting chance to make a difference during my final year as an undergrad. It is clear from my very brief experiences thus far that ACC does important, empowering work that makes a difference in the lives of people every day. I can say honestly that I think I made a meaningful, positive impact on another person on my very first day at ACC. I have had significant experience dealing with people from a wide variety of backgrounds throughout my life and have seen firsthand the struggles of people close to me dealing with housing insecurity. I am motivated to make a difference in the lives of others and have the strong communication skills to build the relationships and trust necessary to work together with those in need to find solutions for a better Pioneer Valley. Growing up in the Merrimack Valley I knew little of Western Mass prior to transferring to UMASS from Middlesex Community College last year but have quickly grown fond of the area. I am excited for the opportunity to engage more deeply with the Amherst community. In my free time I enjoy playing with my dog, Scout, as well as reading non-fiction books and playing the Baritone Saxophone. I also like to take day trips around New England, seeking out interesting places off the beaten path to discover. The mission of Amherst Community Connections to work with low-income and homeless members of Amherst to help them find stability and success is what ultimately drew me towards this internship position. I have always had a passion for giving back to my community, especially by finding new and innovative ways to provide assistance and support. I discovered my passion for non-profit work by volunteering at various organizations beginning at a young age. It was in this work that I realized I would only find fulfillment in a career where I was working hands on with my community to ensure equal opportunities and assistance for everyone. I firmly believe that the path to a better world involves ensuring a level playing field for all, and I am driven to fix the flaws in our society that keep people stuck in a cycle of poverty and struggle. Along with my passion for the work that takes place at Amherst Community Connections, I come with experience in graphic design and website design. When I’m not at ACC, I spend the majority of my time working at UMass Transit Services. Working for the PVTA has provided me with extensive knowledge of the local transportation system, which allows me to assist people in understanding the public transportation system in the Pioneer Valley. I am currently a public health major at UMass Amherst, and hope to also bring my formal knowledge of healthcare and health inequity to the organization. In my free time, I enjoy going on hikes with my cat, trying to find new and more challenging climbs each time. I also enjoy attending farmers markets and learning more about local food, as food policy is a personal interest of mine. I have also recently discovered a passion for cooking, and although I still have trouble getting everything to come out right, I hope to improve with time and practice. I was initially drawn to Amherst Community Connections out of a desire to work with and support vulnerable populations. Homelessness is a critical issue that has significant health and personal ramifications. Working with ACC to assist low-income and homeless individuals in Amherst seemed like the perfect opportunity to provide service to those most acutely in need, while simultaneously becoming more involved in the local community. There is a lot of stigma attached to homelessness, despite the fact that it affects so many individuals and is a product of a variety of intersecting social forces. One of my goals working with ACC is to change the way the public perceives homeless individuals, and restore voice to those who have been marginalized by the community. I am glad and humbled to have the opportunity to do such meaningful work with an organization that truly values its clients as people. During my shifts at ACC, I strive to always listen empathetically to clients’ stories. I try to create a welcoming space in which people can feel truly heard and know that their life story matters. I also bring my passion for visual art and graphic design, facilitating monthly art workshops to create community and conversation through creative expression. As an anthropology major, I hope to also bring my cultural sensitivity and knowledge of social inequality to the organization. Eventually, I hope to pursue a career in medicine and public health. Outside of volunteering, I enjoy running and swimming, and try to spend as much time as possible outdoors. I am an active member of Amherst College’s radio station, where I am working on painting a community mural. I am always willing to undertake drawing or painting projects, ranging from painting canvas shoes to designing stickers for friends. After many years of work in the business world, I am now semi-retired and have found myself drawn to work that would help me make a difference in the lives of those who are the most vulnerable and forgotten. I met Hwei-Ling several years ago and was impressed with her dedication to the elderly, low-income, disabled and homeless populations in the valley. At Amherst Community Connections, I have found a collection of staff and volunteers that have commitment, empathy, and a deep desire to help others. I have much to learn, but am excited to be making a difference in the lives of the people I am honored to work with. I was born and raised in South Hadley and now live in Hadley alongside the Connecticut River. I completed my undergraduate degree in Math, Psychology, and Education from Mount Holyoke College and an MBA in Accounting from American International College. I continue to be self-employed with my home business, founded in 1990, devoted to helping small businesses with their bookkeeping, payroll, and accounting needs. My deepest passion is my family. I am married to the love of my life and we have one son who has recently graduated from college and is now pursuing a music career in Chicago. I spent many years teaching gymnastics and horseback riding, and a lifetime camping and skiing. During the last few decades, you could always find me on the sidelines of a soccer field enjoying my son’s extensive soccer career.